In a corner of Mint Hobo, unbeknown to other Hobiens, a quiet ceremony is taking place. 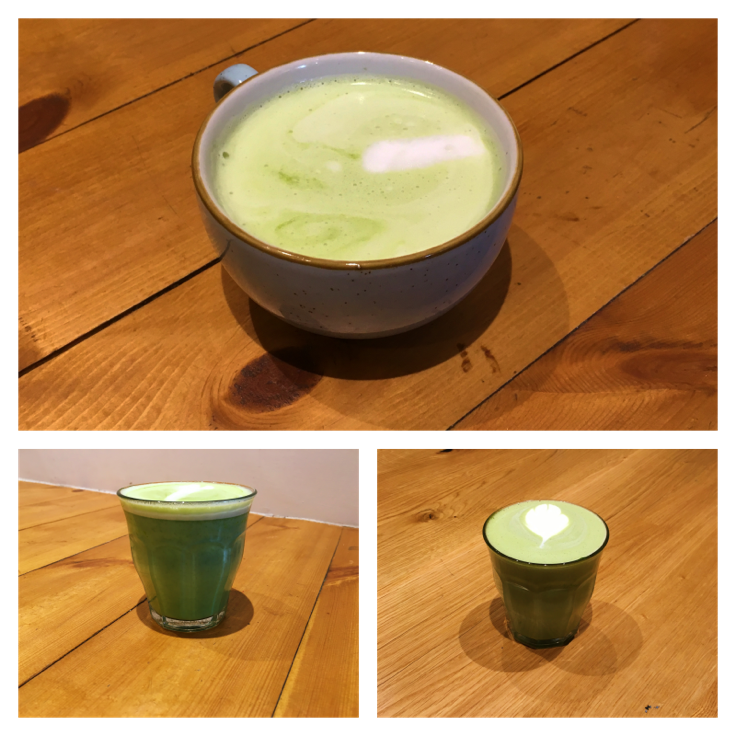 Contrasted against the light brown wood of the table a cup of bright green liquid is being served. 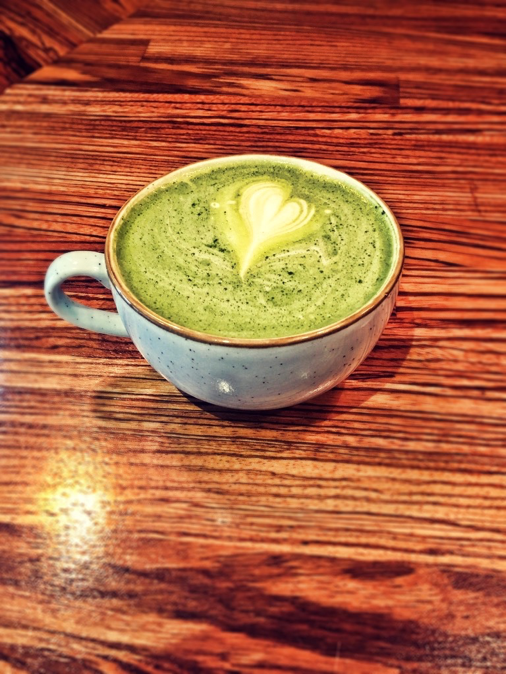 Matcha green tea — a powdered form of green tea leaves that can be served as a frothy tea or creamy latte — forms the heart of the traditional Japanese tea ceremony. 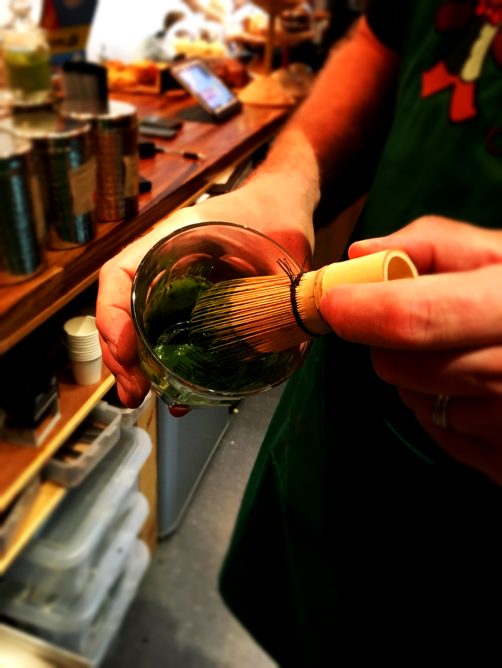 Historically, this variant of green tea symbolises the most honourable fellowship between beings: a harmonious moment of bonding and mutual respect between the tea master and the drinker. As the smooth rim of the cup touches your lips and the tea embraces your palate you can feel the wooden floor soften as wooden fibres morph into rice straw, you can hear a calm rush of water outside and smell a faint aroma of blooming chrysanthemums. A moment of purification, to let your daily worries boil down as you bath in milky tranquility. 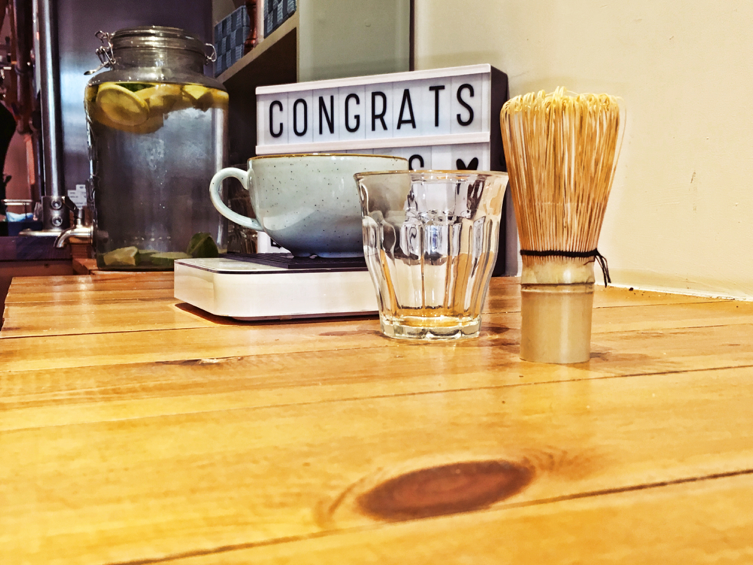 Mint Hobo have established themselves as masters of ‘the Way of Coffee’, leaving clear footprints in the trail of freshly ground coffee houses scattered across the North East. 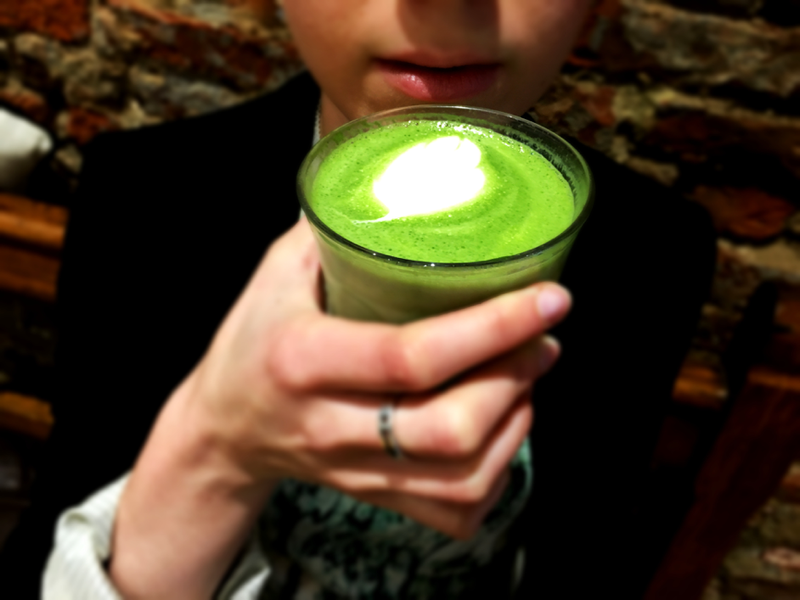 Their new project, however, leads the team into an unknown world marked by simplicity, grace and beauty and sees them slipping through velvety mounds of green tea powder and jugs of milk in their exploration of this ancient drink. As with their coffee, it is about finding an exact harmony between different tastes to mathematical precision. Retaining enough of the familiarity of a well-known drink yet sprinkling it with fresh touches. 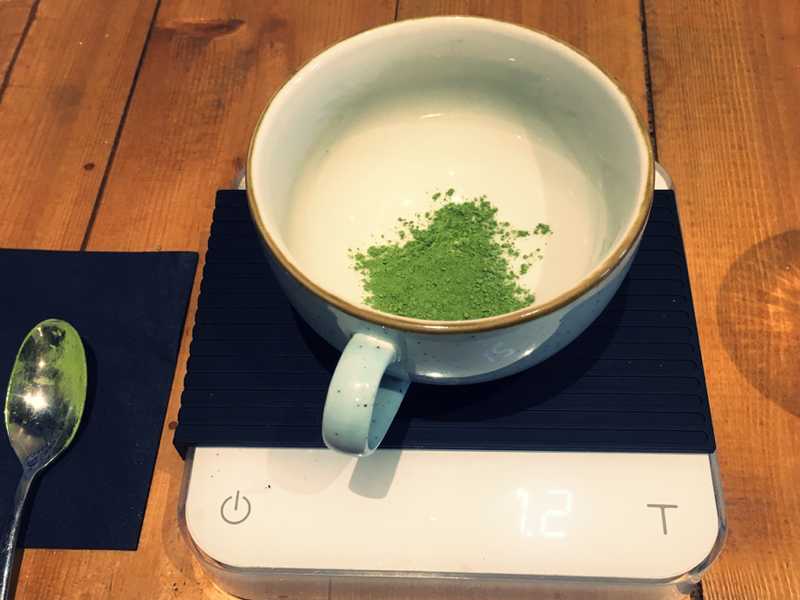 What is to be a uniquely exceptional addition to their menu — in taste, look and health benefits, this traditional Japanese tea is a harmonious step out of the ordinary. For most, a new taste — a silent whisk of the Orient — for others a reminder of precious travels and even of home. 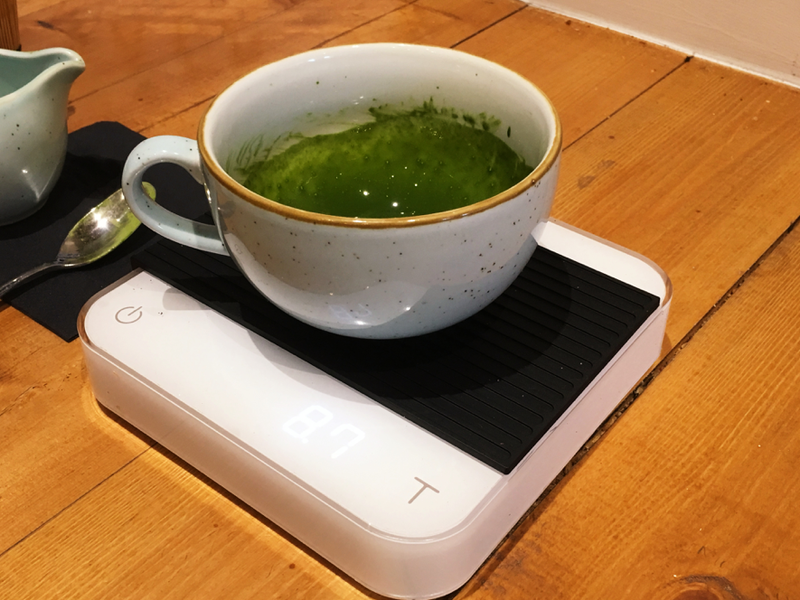 As an avid green tea drinker and Matcha fanatic, it was with much excitement that I joined the delicate process of trial and error, seeking minute answers to seemingly simple questions. 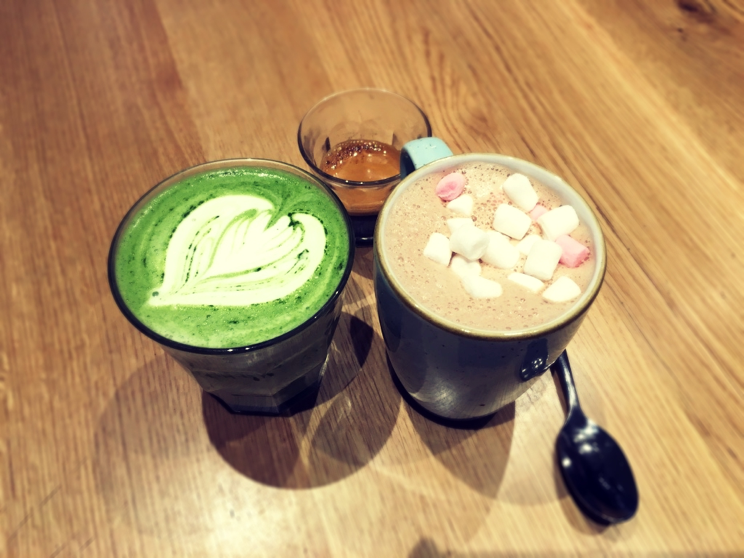 Matcha green tea should not just be associated with ‘green super foods’ or mistaken for broccoli soup or a wheat grass smoothie. It should rather be appreciated as a silky rich tea with gnarled roots going back centuries. It also just so happened to be packed with more nutrients and vitamins than most natural healthy drinks, including ordinary green tea, and — at Mint Hobo — extra care and affection.